The Fall 2016 tour will be just a few shows, may be just the few ones listed below. 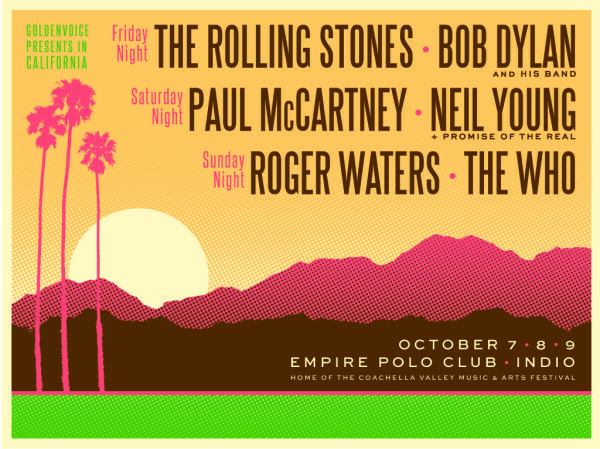 Updates log: 03-May-2016: Added the first confirmed show at the Empire Polo Club (Coachella site), Indio, CA, USA on Oct 7. 09-May-2016: Added the second confirmed show at the Empire Polo Club (Coachella site), Indio, CA, USA on Oct 14. 09-Jun-2016: Las Vegas show confirmed for Oct 19. 16-Aug-2016: Las Vegas show #2 rumoured for Oct 22. 04-Sep-2016: Las Vegas show #2 probably happening on Oct 22. 08-Sep-2016: Las Vegas show #2 confirmed for Oct 22. 04-Oct-2016: Las Vegas Bellagio Convention Center gig info added. 18-Oct-2016: Las Vegas show Oct 19 cancelled. 25-Oct-2016: Foxboro/Boston private show Oct 25 added.